Fun & Excitement! 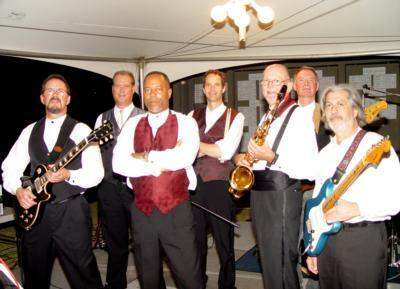 Having the right band is key to an event that will be anything but ordinary. 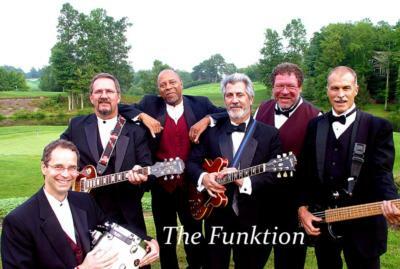 The Funktion is a six man band featuring your favorite music from the 60's, 70's, 80's & current. We are available for Wedding Receptions, Private Parties, Corporate Events and Festivals. With our mixture of Motown, Beach, Funk and Soul music, your guests won't want to leave the dance floor. Make The Funktion your next entertainment solution! These guys were great! I booked them for our wedding knowing very little about them, but we were pleasantly surprised! We had family and friends of all ages in from 10 different states and 3 countries - everyone was very impressed with their performance! They kept everyone dancing all night. Guests kept asking "...where did you find these guys? They're great!...". I would highly recommend them. The Funktion provided a great selection and quality of music. They were very perceptive of the mood and played appropriate music for our cocktail hour, dinner and then dance time. Our guests greatly enjoyed the music. The only disappointment was that a member of the band was poorly dressed considering how formal the event was and attire had been previously agree upon. Please note The Funktion will also travel to Conestee, Georgetown, Gray Court, Greer, Easley, Ware Shoals, Fountain Inn, Reidville, Donalds, Startex, Honea Path, Laurens, Fairforest, Simpsonville, Waterloo, Belton, Due West, Hodges, Clemson, La France, Pelzer, Sandy Springs, Anderson, Williamston, Newry, Mauldin, Mountville, Piedmont, Clinton, Enoree.